Calamus is also known as myrtle grass, gladdon, beewort, sweet flag and by many other common names. In Europe, the sweet root is called German ginger and used to flavor wines and herbal bitters. Combined with other rushes, the sliced root was used as a strewing herb to mask the consequences of poor sanitation and to thatch cottages. appearance & aroma Fibrous with a sweet, spicy scent. cosmetic Calamus root is used to make infused oils and extracts for use in soaps, skin lotions, hair and body care products and perfumes. aromatic Add to potpourri mixture and herbal pillows. safety Not for internal use. 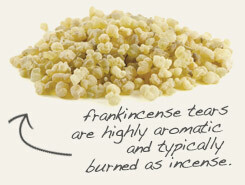 Grind together with frankincense tears for an exotic incense powder. 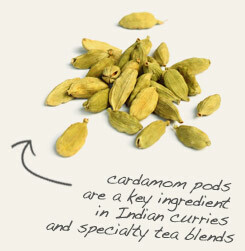 Combine with cardamom pods in potpourri mixes. Calamus root is NOT recommended for internal use. Sweet flag was used as a strewing herb to hide the odorous consequences of poor sanitation during the middle ages in Europe. In North America, natives chewed on the root as a stimulant much like coffee or cocoa, a practice later adopted by Canadian trappers employed by the Hudson Bay Company. Sweet flag root contains a group of compounds called asarones, which produce a mild narcotic effect. In fact, calamus root is reputed to be a key ingredient in “flying ointments” used to promote hallucinogenic states of consciousness. It’s interesting to note that while witches of medieval Europe were using calamus to “fly,” members of the North American Cree tribe used the root to "travel great distances without touching the ground." Although calamus root has been used as a flavoring agent for various beverages, tooth powders and candies, and still is in some parts of the world, use of the root or essential oil as flavoring or food has been banned in the United States since 1968. Habitat/Range: Native to India and North America and naturalized in Europe, Australia, Siberia, China, Japan and Indonesia. Description: Calamus produces tiny green flowers, but does not bear fruit. The leaves are stem-less, shaped like spears and arranged in dual rows. The rhizome yields and oil that is highly fragrant and imparts a bitter flavor. Traditional Uses: Calamus has been used for centuries by various North American peoples, such as the Penobscot tribe of Canada and the Potawatomi people of the upper Mississippi River region of the United States. In Medieval Europe, the herb was strewn across floors to mask the offensive odors of poor sanitation and was used as roofing thatch. I. 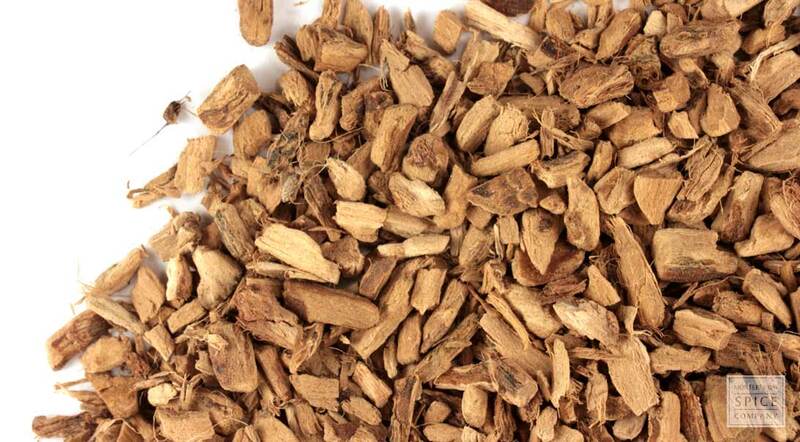 Chemical Composition: Calamus root contains a volatile oil called asarone, including alpha, beta and gamma types. Other chief constituents found in the rhizome include ZZ-Deca-4, 7-dienal and acorone, the agents responsible for the herb’s fragrance and bitter taste, respectively, Additional active chemicals found in the essential oil are methyl isoeugenol and cyclohexanone . Pharmacological Actions: The anti-ulcerative effect associated with this herb may also be due to this agent. Animal studies also indicate that calamus may have cardioprotective effects. For example, the June 22, 2011 issue of “Cardiovascular Toxicology” published a study in which calamus rhizome extract significantly lessened symptoms of isoproterenol-induced cardiomyopathy in rats. Safety: According to the PDR for Herbal Medicines, there are no known health hazards or side effects associated with therapeutic dosages of calamus root. However, the editors caution that long-term use is not advised since malignant tumor formation was observed in rats that received a tetraploid strain of calamus oil for an extended time. As with all medicines, do not use this herb to self-treat any condition if you have a chronic condition, use other medications or are pregnant or nursing.